Maintain the position 2 seconds and go down your pelvis without touching the floor. 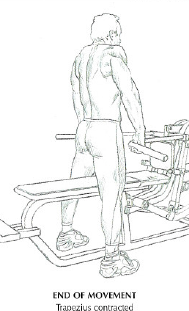 This exercise mainly works hamstrings and gluteus maximus. This movement is to be done with sets of high reps because the goal is to feel the contraction at the end of every repetition. Easy and effective, this exercise is very popular in aerobics classes. 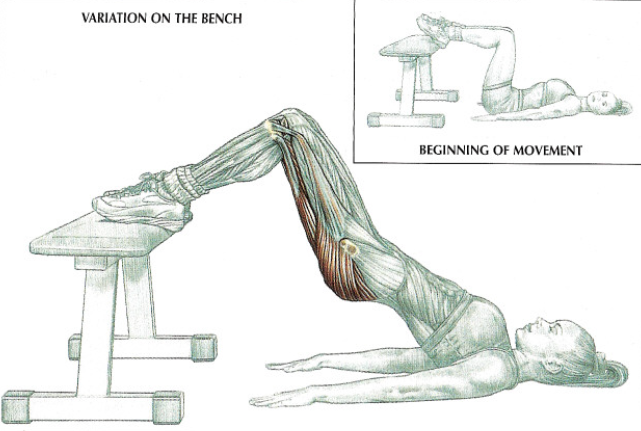 This exercise works gluteus maximus and especially hamstrings because hamstrings works more here than bridge on the floor. 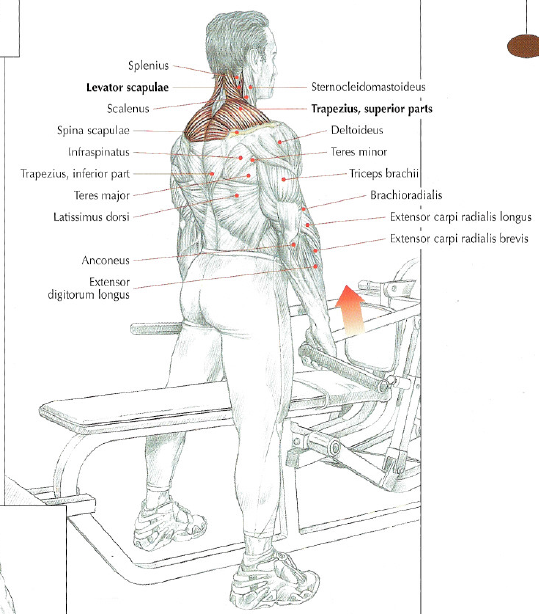 This movement is to be done slowly, the main thing is to feel the muscles contraction. Sets of 10 to 15 reps give better results. With calves on the bench, you’ll work even more intensely your harmstings with gastrocnemius muscles. You can also do this movement with a small amplitude without touch your buttocks on the floor and looking for the burning sensation. Share this article if you thing it can help someone you know. Thank you. Your head and your back are straight. You shrug your shoulders. 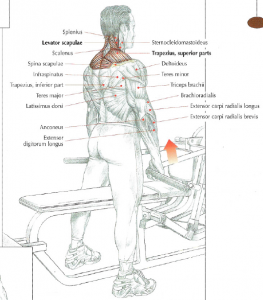 This exercise works the upper part of the trapezius and levator scapulae. This machine is excellent to do set with high reps.
It’s funny because the clavicles and the shoulder blades are hung by the trapezius like the deck of a bridge suspended by metal cables.